The 18-hole Gainesville Country Club in Gainesville, FL is a private golf course that opened in 1963. Designed by George Cobb, Gainesville Country Club measures 6866 yards from the longest tees and has a slope rating of 134 and a 73. 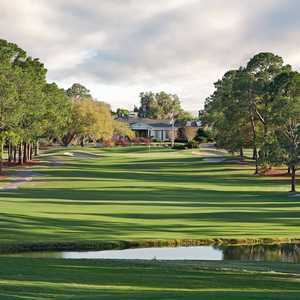 The 18-hole Haile Plantation Golf & Country Club in Gainesville, FL is a private golf course that opened in 1993. Designed by Gary Player, Haile Plantation Golf & Country Club measures 6505 yards from the longest tees and has a slope rating of 130 and a 71. Ironwood Golf Club has the distinction of being named one of Golf Digest's "Best Places to Play." 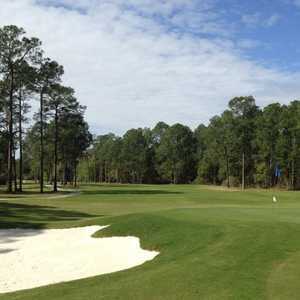 Owned by the city of Gainesville, this popular course hosts more than 50 tournaments year. The course winds through a scenic landscape covered with century-old pines and sparkling lakes. The 18-hole Mark Bostick Golf Course at The University of Florida in Gainesville, FL is a private golf course that opened in 1921. Designed by Donald Ross, Mark Bostick Golf Course at The University of Florida measures 6701 yards from the longest tees and has a slope rating of 128 and a 72. Meadowbrook Golf Club sits on the site of a former Indian Reservation, sprawling across gently rolling terrain sprinkled with mature trees. You'll most likely see the wildlife that calls the course home, including cranes, foxes, and hawks, during your round. Unlike many of the flatter golf courses you'll find in Florida, this layout features a variety of elevation changes that range from subtle to dramatic. 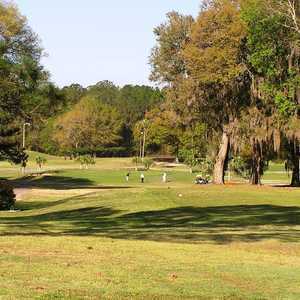 The 18-hole West End Golf Course in Gainesville, FL is a public golf course that opened in 1969. Designed by John E. O'Connor, West End Golf Course measures 3940 yards from the longest tees. The course features 2 sets of tees for different skill levels. The greens are bermuda grass.